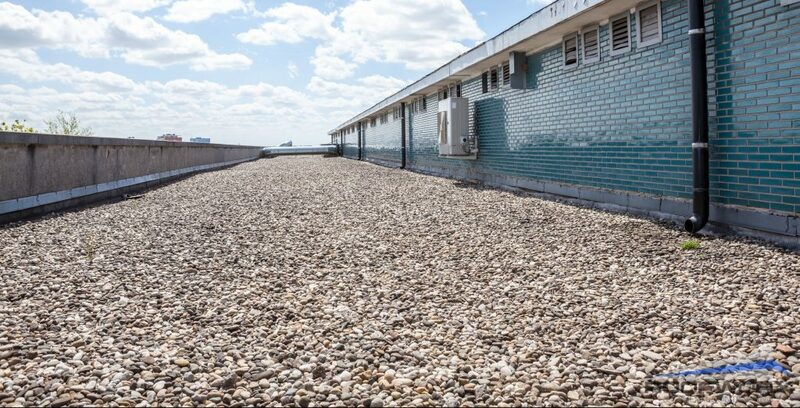 Is your roof covered with ballast stone that you need removed? Are you looking for a faster, less labor intensive way to remove the stone, cleanse, and prep the roof for a new roofing type? Roofworx offers roof vacuuming services to our clients, as an efficient and effective way to clear the roof surface with minimal damage and time. Contact us today for roof vacuuming in Fort Worth and Dallas, TX! Roof vacuuming has many benefits over traditional roof clearing methods! We recommend roof vacuuming as an alternative to traditional methods for many of the reasons we list below. If you have additional questions about roof vacuuming, please call 817-920-5974 today! Less Weight:​ Roof vacuuming is often done by a single man on the roof with the vacuum, giving your roof a break from traditional methods which use a crew of men, and heavy containers to collect the ballast stone in. Less Labor:​ It takes far fewer laborers to clear a roof using the roof vacuuming method, than traditional methods. Less Damage:​ Traditional methods involve a crew of men using shovels on the rooftop, which can sometime damage the roof beneath the ballast stone. Additionally, the vacuum method keeps your roof clear of heavy wheelbarrows and extra feet. More Versatility:​ Roof vacuuming is a safer method for taller buildings, and roofs of varying designs. Additionally, this method allows for wet vacuuming to deliver a cleaner roof surface, and vacuum sweeping to provide a greater all around result! When you need roof vacuuming services in Fort Worth, TX and Dallas, TX, you can count on Roofworx. We are specialists in commercial roofing services, and as roofers, we recognize the need for an efficiently cleaned roof. Our roof vacuuming services help you prepare your roof for the most effective application of whichever roofing solution you choose to follow it with. Our roofers are fully trained, licensed, and insured, to make sure that your roof is in professional, qualified hands at all times. We are dedicated to customer service, and we take pride in a job well done! Call 817-920-5974 today to learn more Roofworx professional roof vacuuming and commercial roofing services in DFW! Updated on March 28, 2017 at 8:31 pm by Roofworx & General Contracting.